What Does “Charity Day” Mean in China? September 5th has been declared “Charity Day” in China. The day commemorates China’s charity law, which came into effect on September 1, 2016. The Chinese government looks forward to celebrating Charity Day as an annual observance. The Yibada article reports that a number of three-day promotional activities took place across the Republic. One notable example was the September 2nd grand opening of the Chinese Philanthropy Museum in East China’s Jiangsu province. Yibada clarifies that the purpose of Charity Day is not only to give tribute to the law’s passing but to further support the growing Chinese public welfare sector. This year’s September 5th activities are meant to kick off similar information sharing events in the future. Yibada confirms that an Internet charity service and information-sharing platform have been established. In response, over 300 charities have already registered. The registration of charities is a big deal to China, as the majority of social organizations in China are unregistered—making them difficult for the government to monitor. Let’s just say it: A Chinese “Charity Day” makes little sense to civil society activists. NPQ has reported quite a bit over the years on the various levels of hindrance imposed on civic, nonprofit, and philanthropic activist organizations in China. The Chinese government has consistently proved itself distrustful of such organizations, be they public or private. Yet, at the same time, one cannot just point a finger at China regarding such increasing “trends of constraints on civic space.” Various countries (especially in South Asia) can be scrutinized just as much. However, China’s constraints appear to cross boundaries. Since Xi Jinping was elected president of the People’s Republic of China, the government created a law that tries to control even organizations operating outside of China. On the other hand, NPQ and other external sources have noted China’s considerable efforts to grow its social welfare sector. This push can be said to have gained speed after Sichuan province’s devastating earthquake in 2008. That humanitarian crisis led to private donations equivalent to billions of U.S. dollars. The public’s response appears to have opened the Chinese government’s eyes to the promise and benefits of private charitable giving. Such philanthropy can nestle well into the intents of the rapidly growing numbers of billionaires in China, who are looking for ways to give back to their country instead of looking for more “donor-friendly” external opportunities. So, how do we explain the apparent contradiction in news reports about China’s angst towards charitable organizations in light of their enshrining Charity Day? 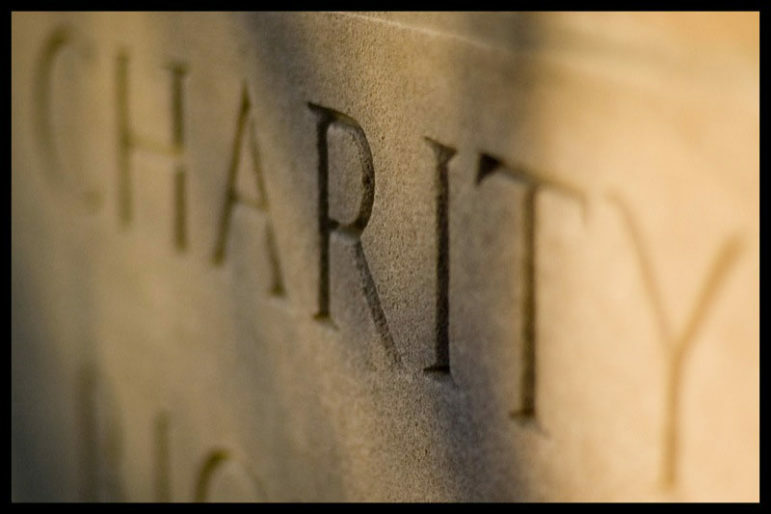 The answer is in how charity is often viewed differently throughout the world. As a country, China views charity and philanthropy very differently from the USA. While Americans are used to the mechanisms of attracting and organizing private funding for philanthropy, this concept is new to China’s blend of authoritarian politics and capitalist economics. The Chinese government also makes its resistance to political dissent very clear. Most pro-democracy advocates (1989 Tiananmen Square and 2014 Hong Kong) are clearly perceived as threats to the communist republic. Another reason may have to do with a cultural resistance to members of charitable organizations accused by the media of living ostentatious lifestyles. Charity Day and similar celebrations in other countries may best be understood according to the type of giving their respective governments sanction and celebrate. China encourages corporate philanthropy while resisting political advocacy. This stance can be illustrated by the opening of a philanthropy museum just months after shutting down the Tiananmen Square museum. The new museum sheds light on how China’s new charity law eases certain restrictions of charitable fundraising and operational activities, as well as provides tax concessions to private philanthropists. The intent is to keep philanthropic funding in China government-approved and moderated. A draft law in China aimed at NGOs has businesspeople worried, according to the Wall Street Journal.